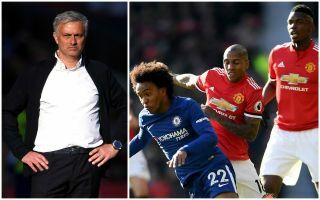 It was recently claimed by Mundo Deportivo that Manchester United are willing to pay Chelsea’s £62million asking price for Brazilian winger Willian. The 29-year-old is another experienced and proven winner who could be a good fit for Mourinho’s system, as he’s shown by shining under his management when they were together at Stamford Bridge. Chelsea would surely prefer to avoid selling a key player like Willian to a rival this late on in the summer, but £62m for a player of his age could be seen as an offer that’s too good to turn down and one that could give the Blues plenty of opportunities to reinvest in another quality attacker. Linked with an exit for much of this summer after falling down the pecking order last season, Anthony Martial is currently notably AWOL from the club’s pre-season camp. The France international left the squad to be around for the birth of his son, but as noted by the Manchester Evening News, has angered Mourinho by failing to report back when expected, with the Red Devils boss now prepared to sell. Various big clubs have been linked with Martial this summer and he shouldn’t be short of suitors, but much will surely depend on whether United can bring in a replacement like Willian in attack.